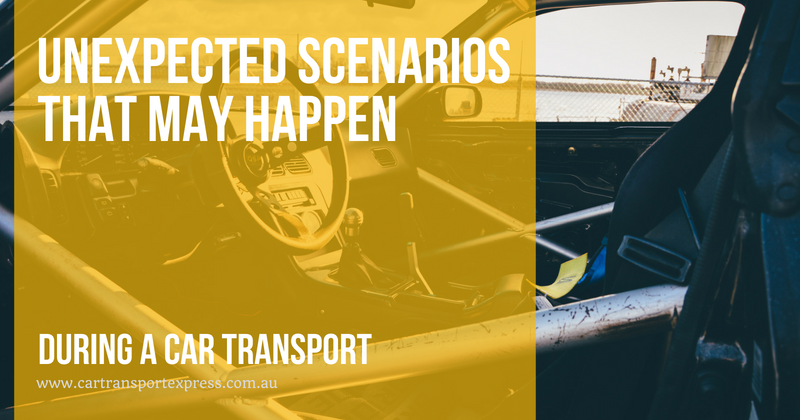 What are the usual scenarios that come unexpectedly during car transport and how service providers deal with them? Planning on moving out and going transferring to a new location soon? If so, then you’re probably thinking of availing a car transport services to handle your vehicle shipment. However, choosing the right car shipping company may be difficult especially there are tons to choose from. One great factor to consider is their customer service. A great car shipping company is prepared to deal with any unexpected scenario that may arise when transporting your car and ensure it can deliver your vehicle on time. Is the new state you’re moving in prone to floods, sandstorms, cyclones, or winter blizzard? If so, your car shipping company must be able to handle these extreme weather conditions. They should be prepared to transport your car and deliver it on time despite the changing weather. Moreover, the company should ensure your car is still in its pristine condition the moment it arrives in your doorstep. Make sure to ask questions about their facilities to determine how they handle and protect your car while travelling. Do you plan to move in a mountainous area? Near a driveway? An urban district? Or near the beach? Another factor to take into consideration is the road condition. Does your chosen car transport company has the necessary gears and tools to ship your car in rough roads? What about travelling it in steep and curvy roads like in rural states? Or can it travel in sandy beaches? What about traffic jams? Can your company find the best alternative routes to ensure a timely delivery? Your preferred company should be able to answer these unforeseen scenarios to determine if they’re prepared to encounter any road incidents that may happen along the way. No matter how much our car transport company maintains their vehicles, unexpected mechanical breakdown may happen during transportation. An example for this is if when the mother vessel’s tyres get damaged due to wear and tear. If not, the vehicle may run out of gas in the middle of nowhere. Or maybe the driver will experience a car engine trouble even if the vehicle is still new. These unfortunate incidences can also occur when it comes to auto shipping. Since it’s transporting multiple cars to different destinations, your shipping company must have redundancies or backup plans to avoid shipping delays. Most car transport companies offer two types of carriers to ship your car namely the open and closed carriers. The former option carries many cars in an open space, which increases the prone of your vehicle to dust, dirt, and damages. The enclosed carriers, on the other hand, can only transport 5 cars at the same time. Most companies set a limit on the latter option to secure all the cars and protect it from the external environment. Be mindful that enclosed carriers will cost you more due to the added protection. In line with this, you can ask your courier whether they intend to regroup their bookings depending on the same courier and destination. Most of the time, they do group cars which have the same destination to save more time, effort, and cost. They will deliver each car until the last car is dropped to the last terminal. However, there are some companies who deliver their cars to different terminals, which may affect the delivery time due to the varying distances, terminals, and unexpected delays that may take place. Usually, an open carrier takes longer to ship and deliver than enclosed ones.